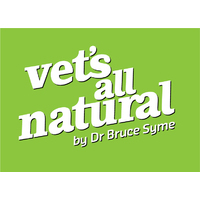 * A healthy balanced diet consists of natural vegetable matter and grains with raw meat. 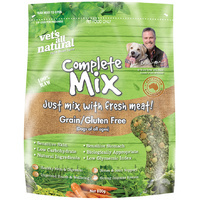 * Complete Mix represents the required vegetable matter and grain portion of your dog or cat’s healthy diet. 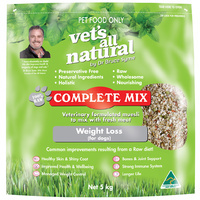 * It is an economical way to ensure your dog or cat gets the best. 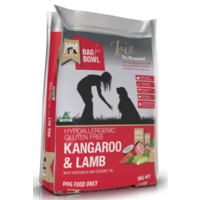 * You simply add Complete Mix to the appropriate ration of raw meat, like kangaroo, rabbit, beef, mutton, lamb or organic chicken and you have a100% preservative and additive free, completely natural, raw, perfectly balanced meal. * No Cooking! 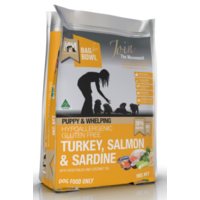 To avoid the harsh damage to proteins, vitamins and enzymes caused by cooking Complete Mix is formulated in accordance with the principles of raw food. 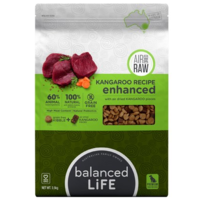 * The ingredients are air dried at, or below, body temperature. 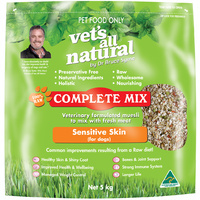 * The Muesli type mix is simply added to fresh, raw meat. 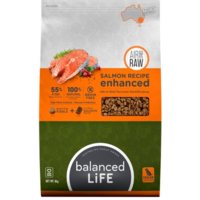 * For maximum benefit, it should be soaked in warm water. 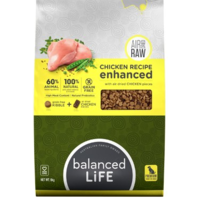 This promotes more digestibility, nutritional value and palatability. 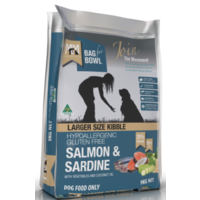 * Complete Mix contains a combination of uncooked mixed cereal grains including rolled oats, cracked barley, flax seed meal and whole oats. 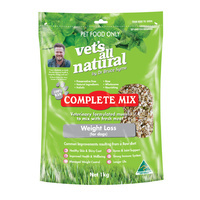 The carefully formulated meal also has dried vegetables, garlic, parsley, barley grass, calcium, yeast , kelp, lecithin and vitamin C.
* The Weight Loss formula works on the principle of lower fat, lower protein, and a higher level of vegetable matter and roughage, with the net result being a lower calorie intake, whilst still providing high levels of essential nutrients. 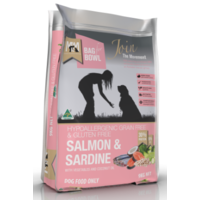 * The Weight Loss formula is designed to be fed at a level according to the dogs "ideal" weight, rather than its current weight (eg If your dog is 32kg, but their ideal weight is 26kg, then you feed according to the 26kg feed chart level).